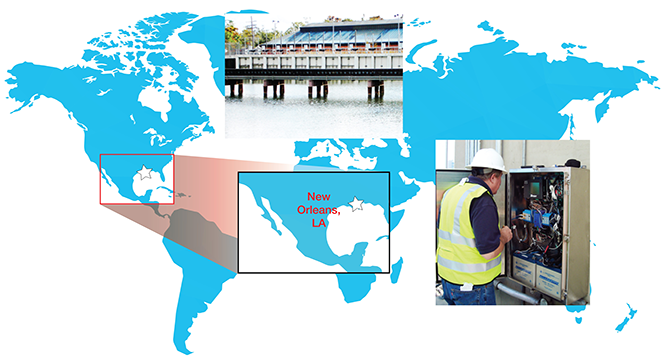 The SUTRON product brand provides real-time environmental monitoring around the world for hydro-met/oceanic control systems, stations, software and services. For example, Sutron began working with the Army Corps of Engineers in New Orleans in 2006 to set-up 12 new stations to measure water level, rain, barometric pressure, and more. Staff installed stations in each canal and conducted testing in conjunction with Prime Controls. The team then trained USACE and Prime personnel in operation and maintenance of the stations and communications equipment and provided battery and solar power for the equipment and the fiber converters. 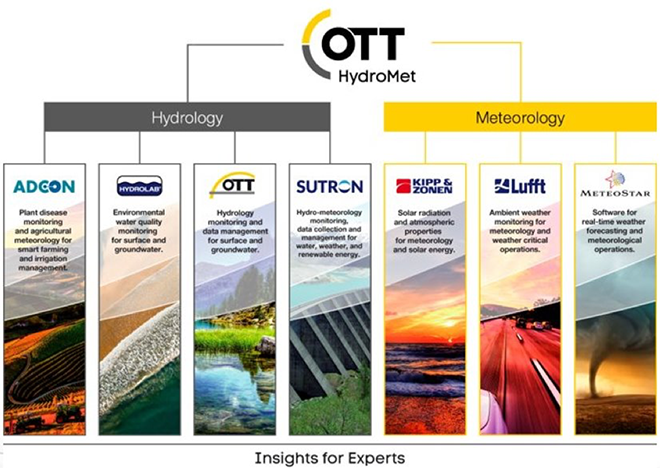 Sutron joined OTT HydroMet in 2015. 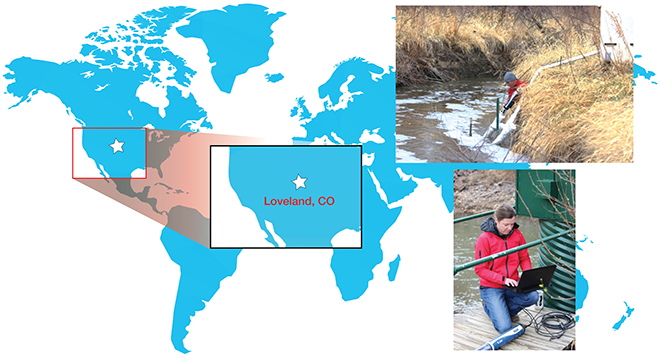 HYDROLAB® water quality instruments and software help environmental scientists and managers monitor the increasingly important changes in our water resources by providing continuous water quality data, reliability, and usability. You can rely on the technical expertise and reach of the combined OTT HydroMet and HYDROLAB teams. For example, some of our staff recently visited monitoring locations in Colorado to ensure the equipment was working to satisfaction. HYDROLAB joined OTT HydroMet in 2002. ADCON focuses on telemetry solutions, based on its own ultra low-power radio technology and GSM/GPRS/UMTS modems, both being integrated into its own range of loggers. 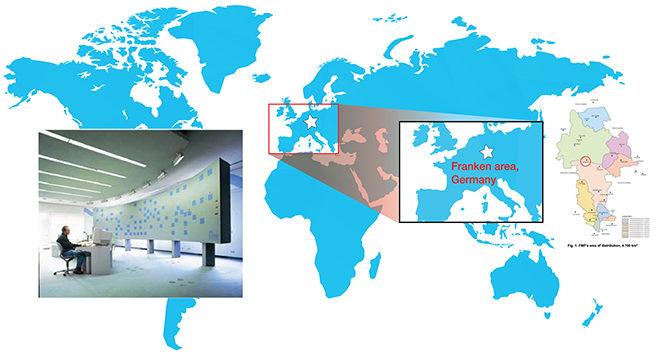 In 2005, the Fernwasserversorgung Franken Franconia Water Supply, which supplies drinking water to private properties in cities and municipalities, worked with ADCON to build a network of 570 UHF telemetry stations to automatically receive data from bulk water meters in sub-surface manholes. This allowed FWF to view all data in 15-minute intervals to better analyze changes in consumption patterns. ADCON joined OTT HydroMet in 2011. 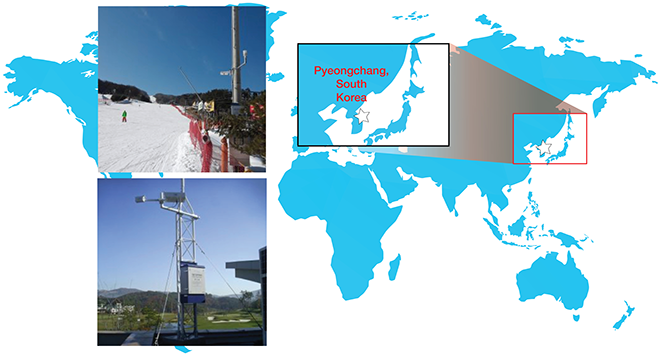 Lufft, a producer of professional components and systems for climate and environment measurement for more than 135 years, worked with Pyeongchang, South Korea, to prepare for the 2018 Olympic Winter Games. Lufft assisted with recording and analyzing environmental data, which is crucial to understand weather conditions ahead of time to plan important events and venues. Lufft went directly on-site with weather and street sensors to measure wind speed and direction, temperature, humidity, and barometric pressure, as well as road conditions such as moisture, ice, or sleet. Lufft joined OTT HydroMet in 2016. Kipp & Zonen is a specialist in the measurement of solar and sky radiation and provides class-leading instruments used in meteorological networks around the world. 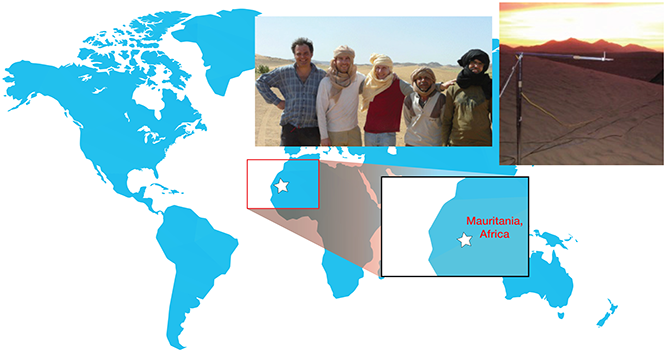 Two such locations include barchan dunes in Mauritania, Africa, and Qatar, Asia, that shift and can cover roads or infrastructure, leading researchers with the Qatar National Research Foundation to keep this motion in check. They teamed with Kipp & Zonen beginning in 2011 to record temperatures to understand variations over time and create modeling of sand heat transfer for time lapse animations. Kipp & Zonen joined OTT HydroMet in 2017. 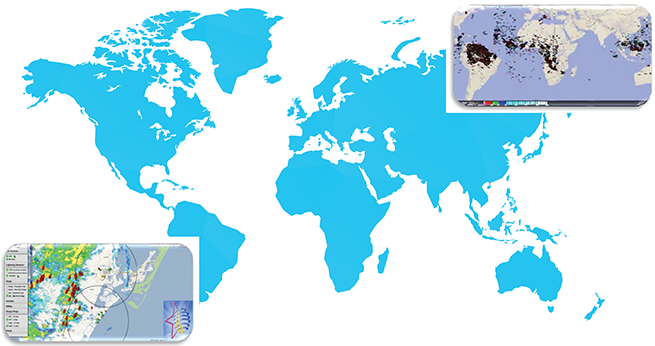 MeteoStar is a global leader in the environmental analysis, display and integration/distribution systems market. In 2013, Total Lightning Network, the largest lightning network providing long-range detection of both in-cloud and cloud-to-ground lightning, teamed with MeteoStar to provide global lightning information into MeteoStar’s LEADS product, to enhance visibility into dangerous lightning and severe storm events for improved situational awareness. MeteoStar joined OTT HydroMet in 2015. Together as OTT HydroMet, we combine highly innovative companies with measuring systems for hydrology, meteorology, and environmental monitoring. 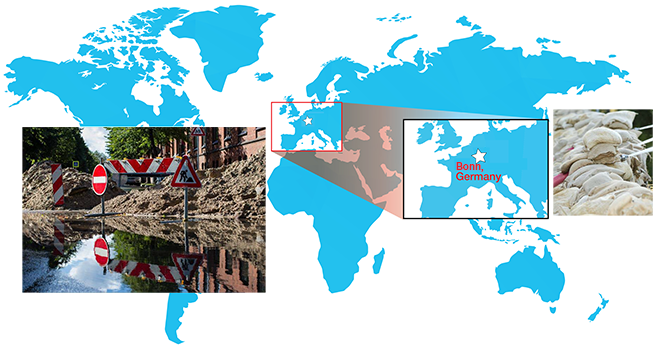 Each global team provides sustainable solutions that go beyond the expectations of hydrology and meteorology professionals. Get local and technical expertise across your data value chain and move across brands with ease as we build your entire system together. 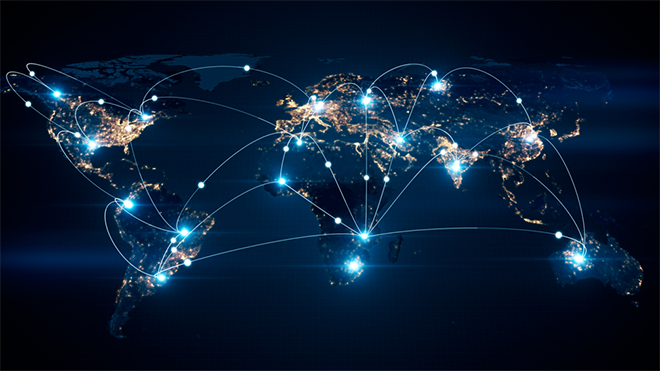 We work to create an end-to-end global network so you can focus on making informed decisions for the world’s water resources and forecasting surface weather, to protect the environment and lives.